Planning for a wedding and marriage with the person I love most in this world was by far one of the most beautiful experiences. Dave and I have been together through many transitions, new experiences, and new "normals" together, and have come out loving and appreciating each other even more. So when thinking about our wedding, we knew we wanted to have a whole weekend away celebrating the commitments we were so happy to finally be making a reality. We wanted a location that brought us and our guests out of the ordinary and into an adventure; maybe it was a place our guests wouldn't normally go to, or somewhere our out of state guests might never have the chance to visit, but would be so glad they did. 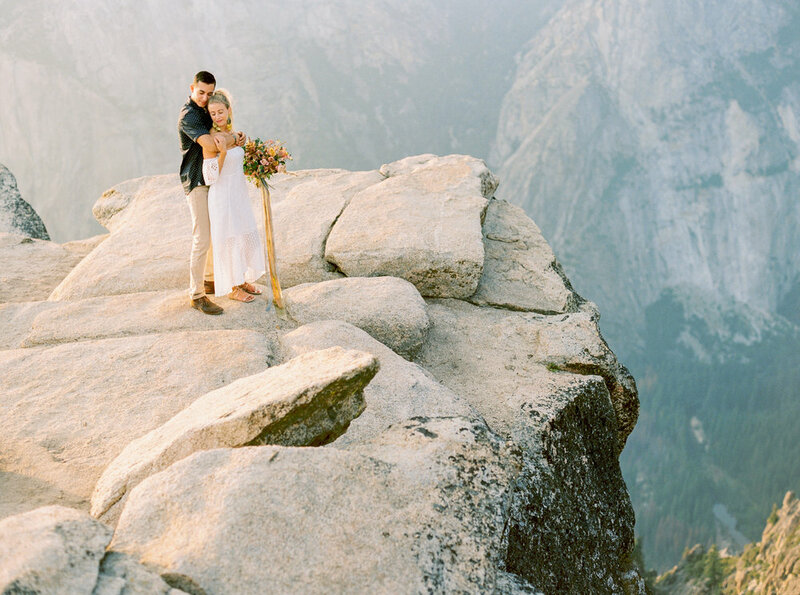 Yosemite was the clear choice. 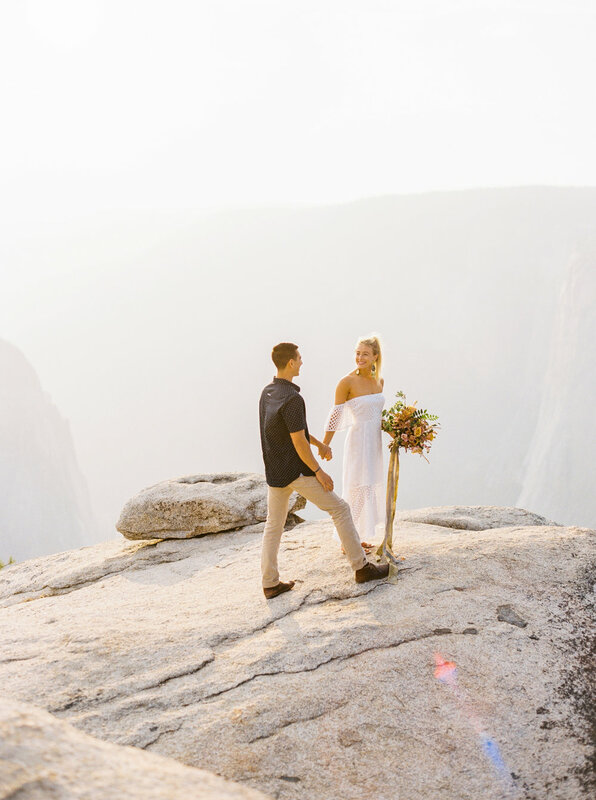 With no shortage of vistas, we knew we wanted Danielle to capture our love surrounded by the most beautiful views we could think of, and Taft Point at sunset definitely stood out. 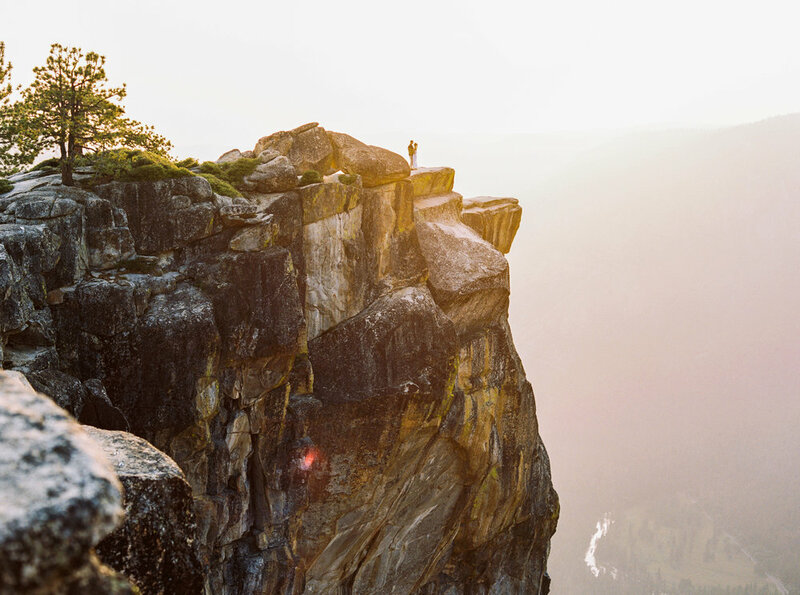 It is truly breathtaking to be able to see the entire valley of Yosemite and makes you feel so small amongst gigantic granite cliffs and we loved that it was a bit more off the beaten path, and totally got lucky with basically the whole mountain to ourselves. 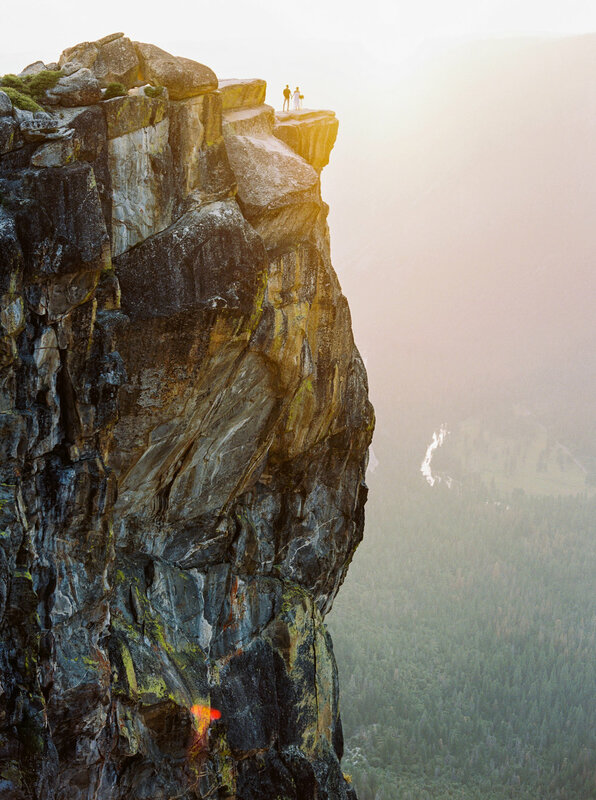 Since Taft Point was going to be difficult to get to on the wedding day itself, we decided to head up and hike out on Thursday evening -- we struck luck with the most beautiful sunset of the entire week with the golden sunlight. Taking these photos a few days before the wedding helped us clear our head and get in the moment to enjoy the final time together as an engaged couple. 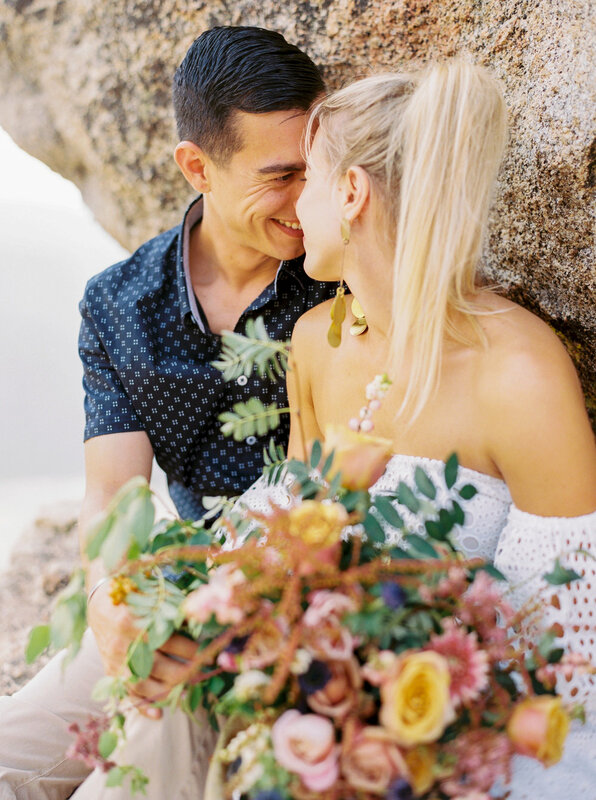 We fall more and more in love with these images and the video each time we look at them and are so grateful to be able to look back on these sweet moments together. It couldn't have happened without our incredible friends who went above and beyond for us -- Danielle and Adam came in early just to come up here with us, (not to mention also drove the winding roads because our car was still too crammed with wedding items), and Michelle made an extra 2 hour trek to our hotel just to get me the ribbons for the bouquet. Talk about love. 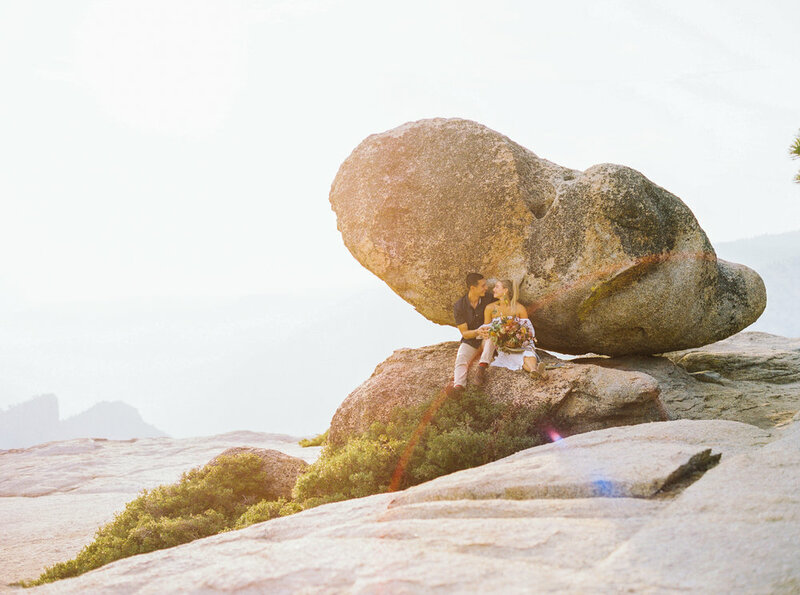 Morgan and Dave - Taft Point from adam poffenbarger on Vimeo.